All that we poor, so often tortured, fans of Game of Thrones want is to know what the heck is going to happen to some of our favorite characters in the upcoming sixth season. We're desperate for spoilers. We can't bear to see our favorites treated so poorly again, but, if they are, we want to know about it in advance so we can prepare our poor wounded hearts and minds. 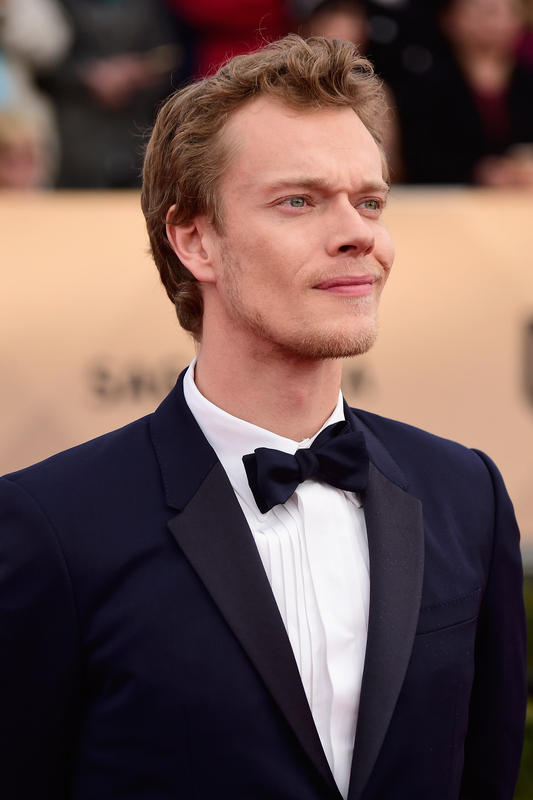 We also can't bear to see our non-favorites treated poorly again (see: Theon) because, you know, they're people too. For example, the actor who plays Theon/Reek, Alfie Allen, decided to toy with fans by unleashing some "spoilers" from the upcoming season, all of which are incredibly goofy. Naturally, I had to rank Alfie Allen's craziest Game of Thrones spoilers from the video, because they go from completely insane to slightly insane, but somewhat likely. But before we get too ahead of ourselves, let's refresh our memories of Allen's character's journey in the show: Theon Greyjoy started as a ward of the Stark estate, then he was Robb Stark's second-in-command, then he captured Winterfell and burned the bodies of two little boys that everyone thought were Bran and Rickon, which kind of made him an enemy of the Starks, big time. Then he was captured by Ramsay Bolton, who tortured him and made him into Reek, a broken man. When we last saw him, he was answering to Theon again and he and Sansa were jumping off Winterfell in a daring escape plan. So what's next for Theon and Westeros? Well, if Allen is to be believed, some pretty weird stuff. 7. "It's Kinda Hard To Forget You Don't Have A Willie. So, I Think Every Time He Looks Down And Realizes There's Nothing There, He's Always Going To Be Reminded Slightly Of Those Times That He Was Reek." 6. "Jon Snow Is Alive But... He Comes Back As A Mouse." This one is sort of legitimate, because Jon Snow may or may not warg into something. It could totally be a mouse. 5. "How Did They Survive The Fall From The Wall? Ibuprofen." OK, so maybe they didn't actually have Ibuprofen. But surely some maester or wizard/witch thing hooked them up with some sort of pain-relieving potion. 4. "Jon Snow Doesn't Have Any Parents." This one is nearing on legitimate, because what if Jon Snow's got parents in DNA only? I mean, no one has no parents, but what if he was just created from a Westerosi test tube or something? 3. "There's This Wonderful Little Greyjoy Called Chaffinch." I don't think the words "wonderful" and "Greyjoy" go together. 2. "Me And The Dragon Form A Very Close Relationship." Daenerys wouldn't let that man anywhere near her dragons. That is, if she's not being held captive by the Dothraki horde. 1. "No. Sansa Just Leaves Him [Theon] In The Snow." As if. I find this "spoiler" the least believable, because that girl never seems to go it alone and she knows better than to venture off without a helper. These "spoilers" are undoubtedly not the best of spoilers, but I'll take anything I can get. Thanks Allen, you adorable man, you. Can't wait to see you when Game of Thrones picks back up.